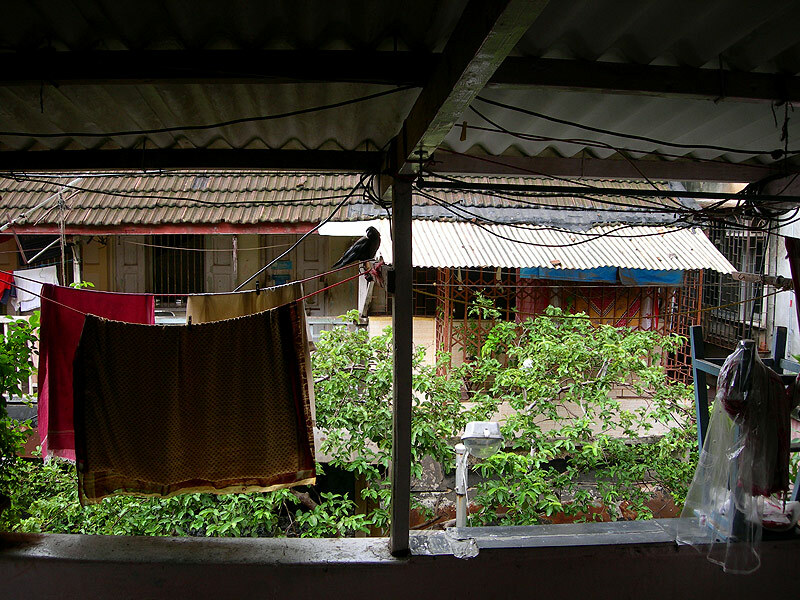 another one of the chawls in girgaon... i guess i'll never grow tired of these spaces. even randomly clicked pictures here capture a lot in the frame. Isin't that a crow on the clothesline? No crows in Kuwait. Did you click from inside the house? hi there, Your pictures are really nice. They are soo sharp. Wat lenses are these?? Did u shoot em wid a std 35mm or did u use sme other type of lens. Also ur camera must b excellent. Which one is it ? do lemme know...Am a budding photographer too...thanx!! I quite like this shot...serene. Thanks for your comments on my blog Kunal - consider yourself bookmarked as well!